Which career path should I choose? How do I decide? A career in actuarial consulting versus working at an insurance company is a topic that is discussed often and at great length by many actuaries (and recruiters). As might be expected, there is no simple answer to which career path might be best for you. There are many variables that must be considered that are directly related to each company, office location and individual. In most instances, the single most important variable is neither “consulting” nor “insurance”. It’s your boss and your boss’ boss. Regardless if it is an insurance company or a consulting office environment, your direct supervisor and often your supervisor’s boss, sets the tone for the office. They create and mold the overall atmosphere, and will set expectations for work hours, work-life balance, study time and the level of professionalism. Of course, they also largely determine such critical factors as compensation and job responsibilities including promotions, project leads, and other assignments. The stereotype of the actuarial consultant working 80 hours per week while receiving very limited study time and the insurance actuary working half as much with a full allocation of study hours is inaccurate. It is a generalization with some basis in fact, but there are tens of thousands of actuarial jobs in consulting and insurance and are all influenced by different factors. Therefore, when interviewing for a new position, it is very important that you try to ascertain, the type of office culture your supervisor and his/her boss promote among the relevant staff. That being said, below we outline the key considerations and most notable differences between consulting and insurance to consider when contemplating your career decision. In doing so, we will necessarily make some generalizations as a way to heighten your awareness to the issues. We strongly recommend however, that you put aside any preconceived notions when exploring your employment options and investigate each opportunity on its own merits. Do you want to work with clients? The most important question about whether or not you should be a consultant or at least explore working at a consulting firm is assessing whether or not you might like working directly with external clients. In addition, you should consider if you’d prefer to work in a smaller office environment (consulting) or a much larger one (insurance).Consulting offices are smaller and therefore you are likely to gain exposure to clients relatively quickly as your experience builds. As an actuary at an insurance company, your “clients” are individuals within your organization, actuaries at the state insurance department, reinsurance actuaries or perhaps outside vendors. Recruiters have found that most actuaries feel that consulting either intrinsically appeals to them or it does not. If it appeals to you, or if you are not sure, we recommend exploring consulting as an option. Think about what your “gut” tells you about working with clients and the nature of consulting work. If you feel you may enjoy it, then investigate it. Each firm and each office within each firm is different and you may find an exciting opportunity awaits you. Is there a quality of life trade off with consulting? The answer to the above questions is an unequivocal “sometimes”. As a consultant, you may have less time at home. Often this may be due to greater travel requirements rather than longer work hours. This is especially true as you increase your level of client responsibility. That being said, there are some consulting positions (precious few) that require little or no travel. Regardless of the job, if you have to travel for work and you don’t enjoy it, the days become that much longer. Please keep in mind that most consulting position descriptions, whether posted on the web or provided by a recruiter, are generic job postings that only provide a broad overview of the work that you might expect in the role. They will not have any true job-specific information regarding the office specialty areas, their primary client focus, the hours worked, the amount of study time given or the amount of travel. For example, the position descriptions will nearly always state, “travel 0-20%”. This is just boilerplate language along with many other bullets on the job description. This is why we stated above that you must determine in advance if you think you’d like to explore consulting because it intrinsically appeals to you. Without speaking directly to one of the hiring managers, you will not get a true sense of what it means to be an actuarial consultant within that particular office with that particular firm. Just as within the insurance company universe, job responsibilities and work hours can vary widely from office to office, and engagement to engagement, even within the same firm. It is up to you to investigate, to the best of your ability, the factors that are most important to you before making a job change. Will I get my study time? This is always an important question to consider. Early in your career, a great deal of time and energy is focused on balancing the need to effectively manage your workload at the office with the time required to pass the actuarial exams. Most individuals at this level want to know if the company has a good “student program”. Fortunately almost all employers of actuaries have competitive student programs that pay for examination fees, required textbooks and other study aids and provide paid time off to study for each exam. If your current employer does not offer these benefits, you may want to consider changing jobs. Insurance companies are usually more likely to provide greater flexibility than consulting firms regarding scheduling time off for exam preparation and may be somewhat more likely to provide the full amount of exam study hours as outlined in their student programs. Please note, however, that both insurance and consulting positions focused on seasonal accounting/audit support functions will be far less likely to allow for time off during the peak busy seasons. In these types of positions, preparing for Spring exams can often prove more difficult than preparing for Fall exams. You may also find that larger insurance companies and larger consulting practices are better able to provide more flexible exam study time due to their larger staffs. Larger staffs often, but not always, allow for an improved ability to shift work around during the days leading up to an exam. Passing exams at a reasonable pace is quite important to the careers of most actuaries. When you are considering employment in consulting, you must recognize that it is a “client comes first environment”. This means that scheduled time off for exam preparation is sometimes more difficult in consulting environments. It is also important to recognize that differences in staffing levels, client activity and the management style of the practice leader all contribute to variations in available study time. Study time varies between different firms, different offices of the same firm, and even within different consulting practices (e.g., life, pension, P&C) in the same office of the same firm. We would love to provide you a list of where you can get plenty of study time and where you do not but it changes with some frequency for the reasons discussed previously. The best advice that we can give you is the following. During the “in-office” interview process, ask appropriate individuals about student program. Specifically, inquire regarding how successful that office/practice has been in providing their current actuarial students with the stated study time outlined in their program documents. You may also want to ask about the exam pass rates of other actuarial students currently in that office/practice. Please note, however, that we strongly suggest that these inquiries only be made at the “office level”, during an in-person interview or when speaking with an actuary at the specific office for which you are being considered. You will likely get far more accurate information at this stage of the interview process. When conducting a telephone interview with Human Resources staff, the individual is typically located outside of the city for which you are interviewing and he or she will not possess enough office-specific information to answer these questions. These questions are best left for current actuarial students who work at the firm or the office practice leader. Overall, you will likely get somewhat less study time at consulting firms as compared to insurance opportunities. It is our view that consulting firms recognize this fact and attempt to hire actuarial students who not only have a strong interest and aptitude for client work but who may also require less study time to pass exams. For this reason, it is far less likely that consulting firms will consider you for employment if you are having difficulty passing exams. Consulting firms want to you to pass exams. In fact, it is quite important to them that you do pass. As a consultant, you are hired to be an expert. Achieving fellowship is typically very important to your credibility as a Lead Consultant/Principal. And while consulting firms can always hire externally at the FSA or FCAS level, as with most companies, they would prefer to hire actuarial students and groom them to take on positions of greater responsibility in the future. I’ll address the topic here, specifically as it relates to consulting versus insurance. For entry-level hires, compensation is likely to be slightly better at a consulting firm. This is primarily due to large consulting firms competing for the best actuarial talent (or perceived potential talent). Over time, this has modestly boosted the pay for entry-level actuarial students entering consulting. But many large insurance companies also compete for this “select talent pool” and so you may find a handful of insurance companies offering very similar or even higher pay. Either way, your pay will be competitive. Most actuarial students start their careers with a base salary of $45,000 to $55,000 with some minor variations due to location (cost of living) and the number of exams passed. Raises or bonuses for passing exams as well as annual performance bonuses are nearly always offered in addition to base salary. As you gain expertise and advance in your career, compensation between insurance and consulting will become less equal. On average, consulting actuaries will earn more than their peers at insurance companies. Though there is always the argument that on an hourly basis, insurance company professionals earn more. Generally speaking, that argument is valid. However, when it comes to compensation, much will depend upon your individual performance. With each year of experience, the egalitarian nature of those early “student program” days fade. Over time, it is no secret who the best performers are and they will be paid accordingly. This is true regardless of where you work. At what point in my career should I consider a change to consulting if I am interested? It is common for Pre-Associate, ASAs and ACAS actuarial students to say, “I’d like to switch to consulting after getting my Fellowship.” Often unstated is: “I want to get my exams out of the way before trying consulting.” This approach has merits but perhaps more pitfalls than most recognize. First, let’s examine the opportunity for “junior level” actuarial consultants. Beginning your actuarial career in consulting or switching to it from an insurance company early in your career is easier than at the Fellow level. At the Fellow level, consulting firms are primarily seeking to hire candidates with prior consulting experience. If you don’t have prior consulting experience, it can be difficult to get it once you become an FSA or FCAS. Therefore, gaining two years or more of consulting experience as an actuarial student can be very helpful to you later in your career. When consulting firms seek to hire externally, most strongly prefer to hire Fellows with prior consulting experience (the more, the better). The reason for this is simple. If they are going to pay you six figures, they want you to be able to make an immediate impact with client leadership and/or client development. Fellows and other senior actuaries coming from an insurance background often cannot “hit the ground running”. In consulting circles, it is often believed that these individuals have difficulty quickly transitioning to the diversity and pace of the consulting environment. Now, individuals with insurance backgrounds are hired by consulting firms at all levels. However, the more senior you become, the more challenging it becomes to be hired by a consulting firm. You become a high-risk hire. To put it into mathematical terms: Big salary + Zero Consulting Experience = Low Probability of Consulting Hire. It is worth noting here that the reverse can also happen. Senior consultants are paid quite well and have excellent experience with a broad array of products. They have often developed highly sought after experience in a particular area. However, they frequently lack significant management experience. Senior Consultants earning in excess of $170,000 are likely pursuing VP level positions or above. These positions will often manage staff sizes of 10+ individuals. Consultants with limited management experience, regardless of their product or functional expertise, will be at a disadvantage when interviewing for these senior management posts because of concerns regarding their people management experience and skills. To put it into mathematical terms: Big Consulting Salary + Zero Management Experience = Low Probability of Senior Management Hire. If an actuarial student is interested in consulting, we recommend they make the switch before obtaining their FSA or FCAS. This advice is contrary to what many actuarial students would prefer to do. 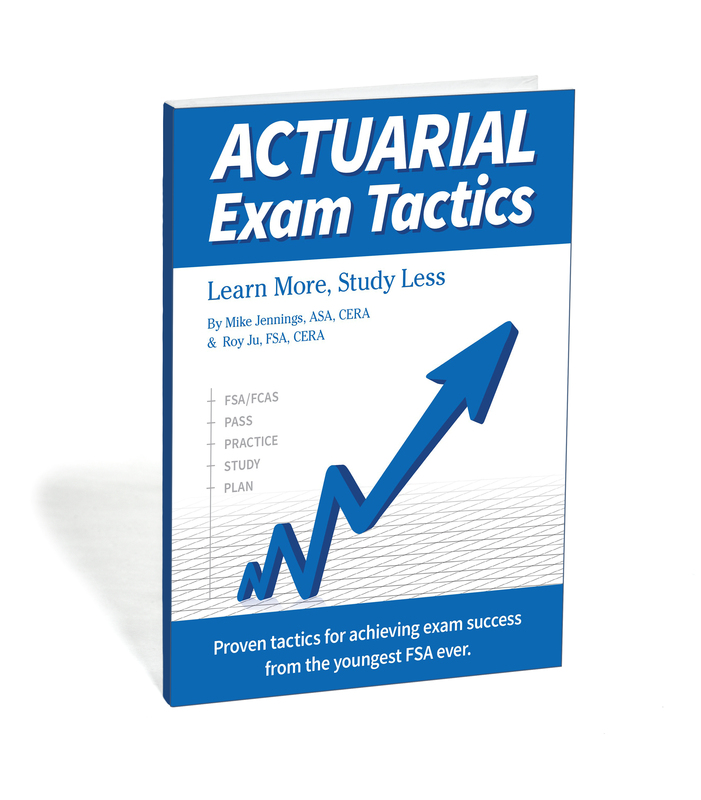 Most actuarial students would prefer to make the change after they have completed exams. New fellows are still in demand by consulting firms, especially if you have the right personality and fast exam progress, but you will undoubtedly have greater pressure on you to produce value sooner. However, near fellows with slightly lower compensation (than new fellows), have the benefit of somewhat lower immediate expectations. ASAs and ACASs are generally given less responsibility than Fellows and thus may have more time to get acclimated to the consulting world. They can begin to develop their consulting skills with less pressure to make an immediate impact related to client leadership and development. And while you may have to finish one of more exams, as stated above, consulting firms have an interest in helping you do so. A second consideration is that working at a consulting firm can offer actuarial students a wider range of work, thereby broadening skills and increasing your options for next steps in your career. This is particularly true outside of the benefits consulting area. Consulting firms that focus on life & annuity, P&C and health insurance (note: I’m excluding health and retirement benefits consultants from this discussion) will typically have their junior actuarial staff working on a wide variety of projects, increasing your exposure to many different products and functional skills. Actuarial students at insurance companies typically rotate to different areas. Both backgrounds can be appealing to future employers for different reasons. Please keep in mind that given the expected length of your career, you may have the opportunity to work at both insurance and consulting firms. Movement between the two areas is common. Deciding if and when to pursue consulting or insurance work will be an individual decision. It will depend significantly on your career interests as well as the stage of your career. For this reason, we thought it helpful to divide the discussion into 3 sections, early- mid- and late-career. Responsibilities at insurance companies are typically well defined. Your area of responsibility has structure and periodic deliverables. This structure allows for the development of deeper expertise within a particular area. The longer you work in that particular area the more expertise you develop with group health pricing, commercial auto reserving, term life valuation, etc. It also allows for incremental and consistent steps toward common markers for professional development such as management experience and profit and loss responsibilities. As you gain experience, prove your talents and move up in the organization, you have the opportunity to assume greater responsibility. These are, however, still the early years of your career.Given the hierarchy at most insurance companies, these years will typically be focused on more technical, data intensive responsibilities such as experience studies or rate filing. The data intensive responsibilities may require Excel® macro or programming skills. Larger insurance companies have more products, more functional areas, and more hierarchy than smaller firms. Therefore, at a larger company you will be more focused within a particular area. The good news however, is that many larger insurance companies offer rotational student programs. These rotational programs are typically organized by a member of the Actuarial or Human Resources staff and help with your career development by diversifying your experience. Job rotations are typically 18-24 months in length. For example, at a life insurance company you might have a first rotation in life pricing, a second rotation in annuity valuation and a third rotation in corporate planning. This is terrific work experience and with each rotation, you’ll likely move up the hierarchy, taking on greater responsibility. You’ll also have opportunity to assess your interest level in different functional/product areas of the industry before settling into a specialty. Smaller insurance companies do not often have formal rotational programs. This doesn’t mean that you won’t be able to switch jobs internally and gain new experiences. At smaller insurance companies, by their nature, you will almost always have broader responsibilities. For example, you may be involved in pricing across the company’s life and annuity lines or you may handle pricing, reserving/valuation and forecasting for a particular product line. Finally, you may find that you gain earlier exposure to senior management at a smaller insurance company. Junior level actuaries at consulting firms are also typically responsible for technical, data intensive work. The difference is that in the consulting arena, the work is determined by the needs of the various clients. Client projects are typically directed by a Senior Consultant. You’ll be assigned to assist with various projects for different Senior Consultants. This creates a less structured work environment that necessitates project-driven work for multiple clients simultaneously. The benefit of consulting is that you will have the opportunity to work on a wide range of projects for various clients spanning pricing, reserving/valuation, filing, statement reporting, etc. This can be exciting work and may lead to broader experience more quickly. This, however, depends a great deal upon the individual circumstances of what type of consulting you are doing, the firm you work for and where you are working. For example, defined benefit (DB) pension consulting is largely a self-contained industry practice area. The skills that you are developing as a DB consultant are excellent but they are mostly applicable only at a DB consulting firm. Conversely, a life consultant will develop skills that will be in demand at both life insurance companies and other life consulting firms. So it is possible that you may obtain “better experience faster” at a life consulting firm versus an insurance company. “Better” is always a relative term, of course, and we use it here referring to your marketability as a candidate for employment. It is during this period of time in the actuarial profession (and many other professions) when separation due to individual performance begins to really take hold. Stronger achievers will begin to noticeably separate from their peers due to better on-the-job performance, faster exam progress or both.It is also during this period when your actuarial product specialization begins to cement. By this we mean, if you’ve been a Group Health actuary for the past 6 years, you are unlikely to ever leave health insurance during your career. You might dabble in individual health (Medicare Supplement for example) or group non-medical products such as Group Life or Disability but for the most part, actuaries are “fixed” into their respective products areas by their sixth year of employment. Due to this separation, it becomes harder to make broad generalizations though we will try for the purposes of this book. For example, at this point in your career at an insurance company, you may have the opportunity for your first meaningful supervisory or management experience. This is always beneficial to a career. Managing people is not always easy or fun but developing these skills will help prepare you for bigger opportunities later in your career. These management skills will also be in demand by both insurance and consulting firms. Most consultants do not manage large staffs but when hiring for their offices, they will often seek individuals with strong “people” skills and demonstrated career progression. At a consulting firm, you may have the opportunity to lead client engagements and/or become involved in client development. Both indicate career progression and are therefore always helpful to your career prospects. At this point, you have also likely begun to develop a strong expertise in a particular product area. Having worked on different client projects over the years will give you better perspective on the marketplace for your specialty area than you may have received by working at one or two insurance companies. You may also begin appreciate the reduced bureaucracy found at most consulting firms. Of particular note are the first two: superior people/management skills and general business savvy. To be successful at the highest levels, though, you need all five. It is my view that people/management skills are learned. Some individuals learn them (or at least many critical aspects of them) at an early age, before they enter the work force. Many learn them “on the job” starting with modest supervisory roles overseeing 1-2 people. But regardless of when we learn them, it is important to recognize the simple fact that we can all be better, more effective managers. The actuaries who consciously and proactively develop those skills will be the ones who are most likely offered VP or Senior Management level roles. If your company offers workshops on developing your managerial skills, take them. You will benefit, your company will benefit, and your future staff will benefit. This statement is true regardless of whether you are at an insurance company or consulting firm. A second reason, why actuaries plateau is that they do not develop skill sets outside of technical actuarial work. This can be more difficult to overcome because your job description may not lend itself to you developing other needed skills and competencies. As you evolve in your career it’s important to keep a current understanding of industry trends, product distribution (spend some time with those pesky sales and marketing people! ), enterprise risk and, of course, to hone your management skills. We have referred a few times already to communication skills and I’ll repeat it again here. Your ability to communicate effectively up, down and across an organization (or to clients if you are a consultant) will, without question, differentiate you as you become more seasoned in your career. What can you do if your current role does not provide sufficient opportunity to develop the above? Join a society committee, publish a paper, attend conferences, seek out training and leadership development opportunities within the company you work for. The sooner you get started down this path of development, the earlier it will make a positive impact on your career and in your paycheck. NOTE: The above is an excerpt from Achieving Your Pinnacle: A Career Guide for Actuaries, by Tom Miller, Copyright 2013. It is reprinted here with permission.